Sometimes it is refreshing to just go back to the basic things that you love in your wardrobe. The pieces in this post are some of my wardrobe staples. It is crazy how confident a simple white shirt, a great fitting pair of jeans and perfect pumps can make you feel. and of course I Added a statement necklace for a little something extra. This outfit is one of my favorites because it is so simple and comfortable! love that blouse and i love how you rolled up your jeans! Looove your jewelry!! That shirt is just a perfect staple to have in the closet! Love this look!! White is a great color on you! Love the braid too! This outfit is fab! Those shoes are to die for. This look is just perfect! I've been looking for pearl cluster necklace and I just love yours. Lovely look! 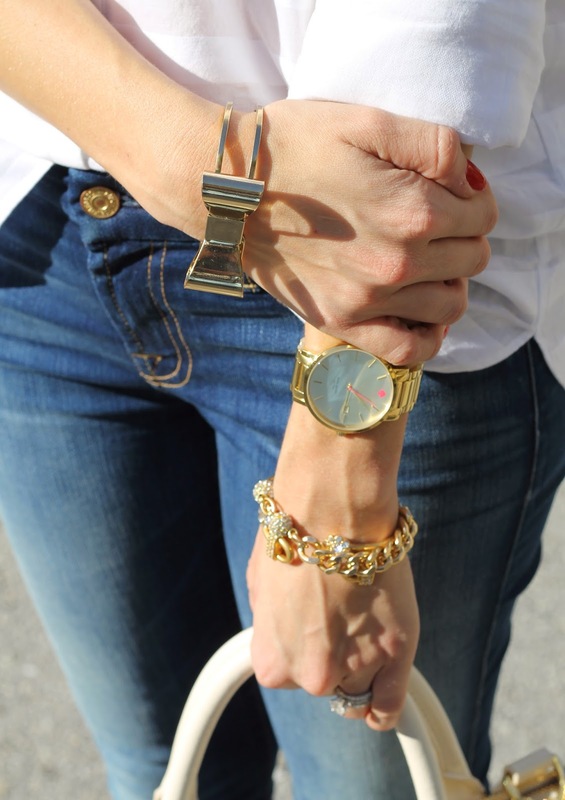 There's nothing more classic than a crisp white shirt and denim! Gorgeous! Simple and yet so elegant! I love that necklace! Great post! I can only imagine because it's a high of 25 degrees where I live today! I just started following your blog and I Love Love love it! Lot's of "Other" bloggers out there with a similar look, but yours is Top Notch girl! What a great button up shirt!!! Perfect Chic casual! Love all the neutrals! That necklace would probably scare me away [because the pearls are SO big] if I just saw it hanging up but it looks adorable on you! I like it! Very casual and cute look!! that's a pretty outfit, love your necklace!! Can you do a little blurb on partial shirt tuck-ins and how to make them look cute like this? That's be lovely. Thanks!